Synopsis: The magnificent Austin empire built by the domineering Seth Coleman before World War II now belongs to Moss and Billie’s daughter Maggie. She has invited the whole family to a Fourth of July barbecue in celebration of a renewed sense of family pride she’s determined to forge at Sunbridge. But as loved ones gather, they bring along old resentments and new temptations destined to generate more than a little heat.Maggie has finally decided to divorce Cranston Tanner. But as she struggles to be a good mother to her resentful son Cole, her love for a special man could cost her the loyalty of her family. In the meantime, Cole becomes locked in a bitter rivalry with his cousin Riley, heir apparent to Sunbridge, while Maggie’s broken-hearted daughter Sawyer is about to face a much greater tragedy. And Maggie’s sister, Susan, the renowned musician, arrives home for the most terrifying performance of her life. "A steaming, sprawling saga . 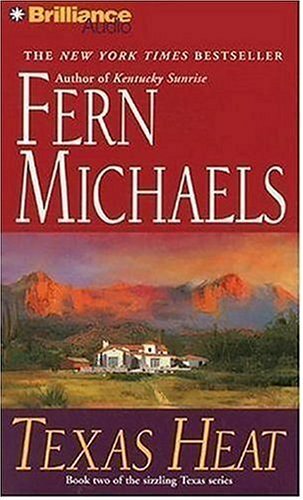 . . As always, Fern Michaels writes a full story with bigger-than-life characters we would look forward to meeting. . . . A rags-to-riches saga that would make a colorful movie." "Talk about action! There is more in this epic than in five novels. And it's fascinating, interesting, and exciting. One of those rare books, the kind the reader doesn't want to end. A real winner!" "Fine fare for Fern Michaels's fans!"